Dr. Amanda J. Rose received her doctorate from the University of Illinois at Urbana-Champaign in 1999 and did her undergraduate work at The Ohio State University. 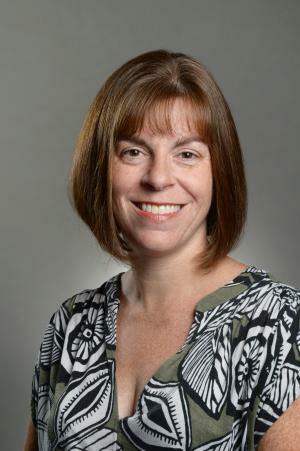 Dr. Rose joined the faculty at the University of Missouri in 1999 as a founding member of the Developmental Psychology Training Program within the Department of Psychological Sciences. She served as Chair of the Developmental Training Program from 2002-2010 and again from 2013-2015. Dr. Rose’s research focuses on gender, friendships, and emotional adjustment in childhood and adolescence. Her work has been funded by NIH, and she is a fellow of the American Psychological Association and a fellow of the American Psychological Society. Dr. Rose also was awarded an early scientific achievement award from the Society for Research in Child Development. Dr. Rose is a committed teacher and research mentor. In the classroom, she has taught Social Development, Developmental Psychology, and Research Methods in Developmental Psychology. Many of the undergraduate students that Dr. Rose has mentored in research have pursued doctoral training at prestigious universities, and all of the doctoral students that she has mentored are currently faculty members in Departments of Psychology at colleges and universities around the nation. Dr. Rose is a recipient of many teaching awards, including a Kemper Fellowship for Excellence in Teaching, one of the highest teaching honors awarded at the University of Missouri. In addition, Dr. Rose is committed to promoting women’s professional development, especially in academia. Dr. Rose has develop undergraduate and graduate classes on women’s professional development and regularly gives presentations on the topic. Rose, A. J., Schwartz-Mette, R. A., Glick, G. C., Smith, R. L., Luebbe, A. M. (2014). An observational study of co-rumination in adolescent friendships. Developmental Psychology. Rose, A. J., Glick, G. G., Smith, R. L., Schwartz-Mette, R. A., Borowski, S. K. (2017). Co- rumination exacerbates stress generation among adolescents with depressive symptoms. Journal of Abnormal Child Psychology. Rose, A. J., Smith, R. L., Glick, G. C., Schwartz-Mette, R. A. (2016). Girls’ and boys’ problem talk: Implications for emotional closeness in friendship. Developmental Psychology. Rose, A. J., Asher, S. R. (2017). The social tasks of friendship: Do girls and boys excel in different tasks? . Child Development Perspectives. Rose, A. J. (2018). Invited Talk, Department of Psychology, Ohio University. Rose, A. J. (2017). Invited Talk, US Department of Health and Human Services, Office of Adolescent Health. Rose, A. J. (2017). Invited Talk, Orebro University, Sweden. Rose, A. J. (2016). Invited Talk, Department of Psychology, University of Maine. Rose, A. J. (2016). Invited Talk, Department of Psychology, University of Buffalo. Rose, A. J. (2016). Invited Talk, Department of Psychology, University of North Dakota. Rose, A. J. (2015). Invited Talk, Concordia University (Canada). Rose, A. J. (2015). Invited Talk, Department of Human Development and Family Studies, Purdue University. Rose, A. J. (2014). Invited Talk, Peabody School of Education, Vanderbilt University.